This high visibility yellow PVC fire warden band with encapsulated reflective ID badge enables staff and site visitors to quickly identify first aid personnel. The armband has an adjustable hook and loop fastening which is adjustable to fit between 90-130mm dia. 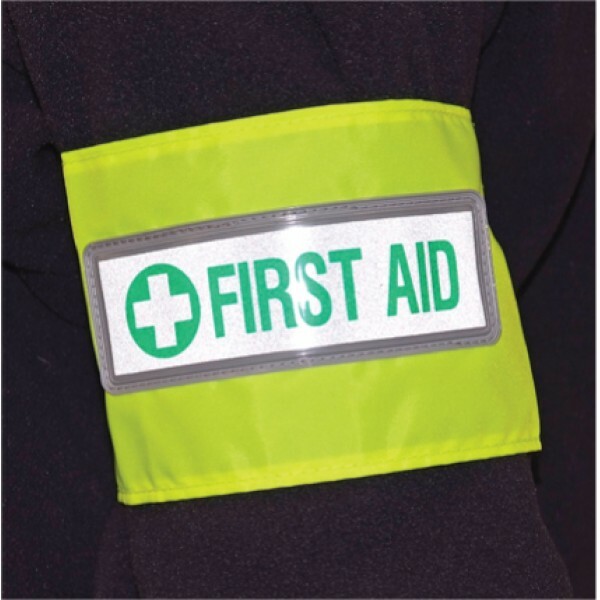 This high visibility yellow PVC fire warden band with encapsulated reflective ID badge enables staff and site visitors to quickly identify fire personnel. The armband has an adjustable hook and loop f..